Welcome to the Highland Folk Museum. We are open every day until 31 October 2019. 10.30am – 5.30pm each day April – August, 11am – 4.30pm Sept & October. Sat 20 April – Our tractor and trailer are currently out of order – we apologise for any inconvenience, please speak to a member of the team with any access queries or call on 01349 781650. Here at the Highland Folk Museum we give our visitors a flavour of how Highland people lived and worked from the 1700s up until the 1950s! We do this by displaying over 30 historical buildings and furnishing them appropriate to their time period. Some have been built from scratch on site and some have been moved here from other locations. Our site is a mile long with our 1700s Township (featuring 6 houses) at one end through to our 1930s working croft at the other.We have an cafe, gift shop and a fantastic children’s playground. 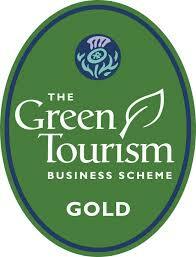 We are located at Newtonmore in the Scottish Highlands amidst some of the most beautiful scenery in the world. 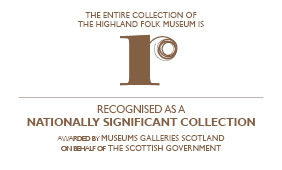 We are also home to ‘Am Fasgadh’ our collection store, with over 12,000 artefacts – tours are available please click here for more details. Am Fasgadh also offers high quality meeting rooms (available for hire), a research library, available by appointment, our conservation laboratory and suite of offices.